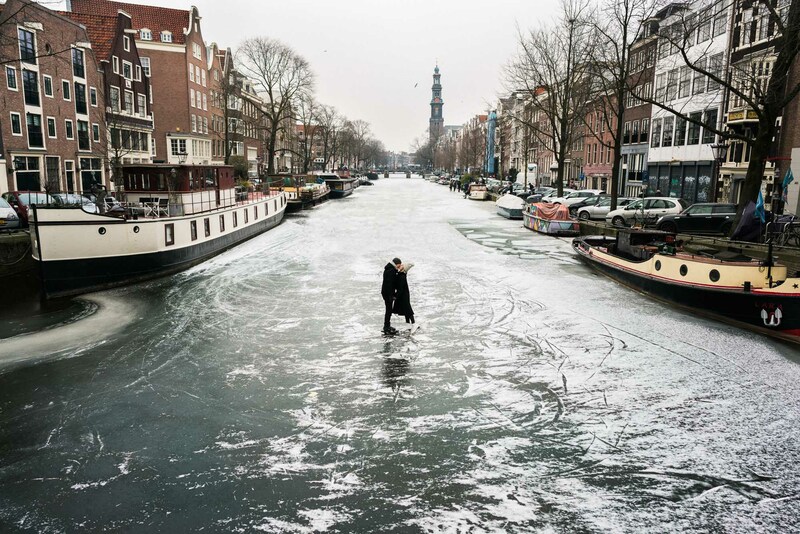 Over the weekend Amsterdam’s canals froze over and it was one of the most amazing sights we’ve ever seen. 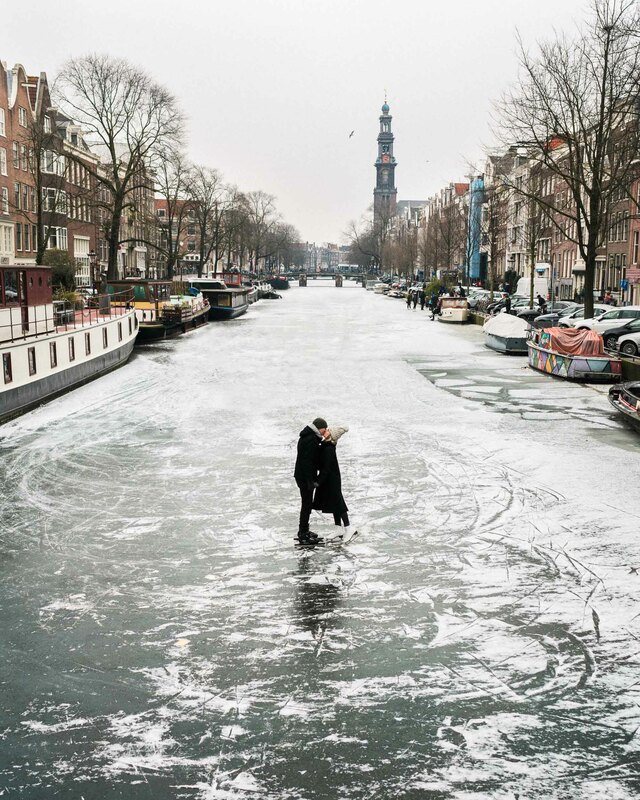 To give you an idea of how rare this is, the last time it happened was over 6 years ago! 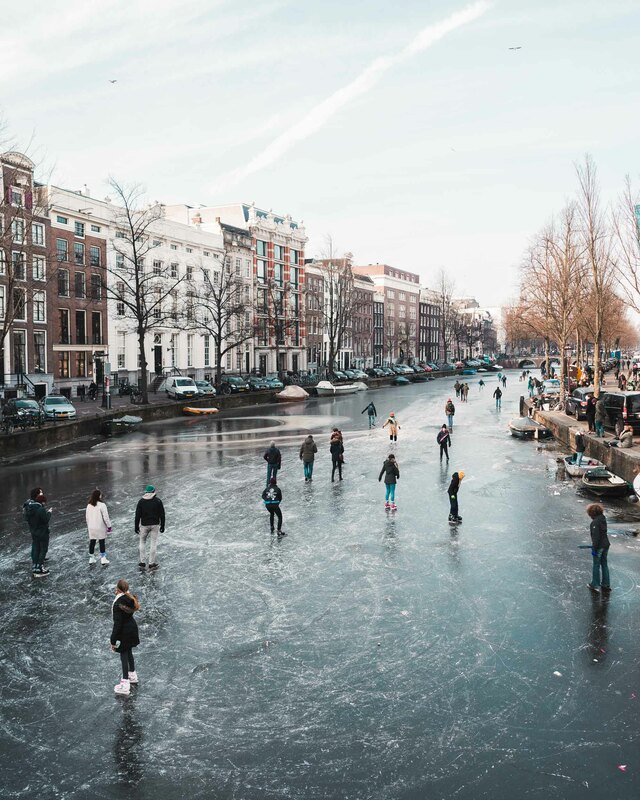 The Dutch don’t hesitate to take advantage of an opportunity to ice skate. 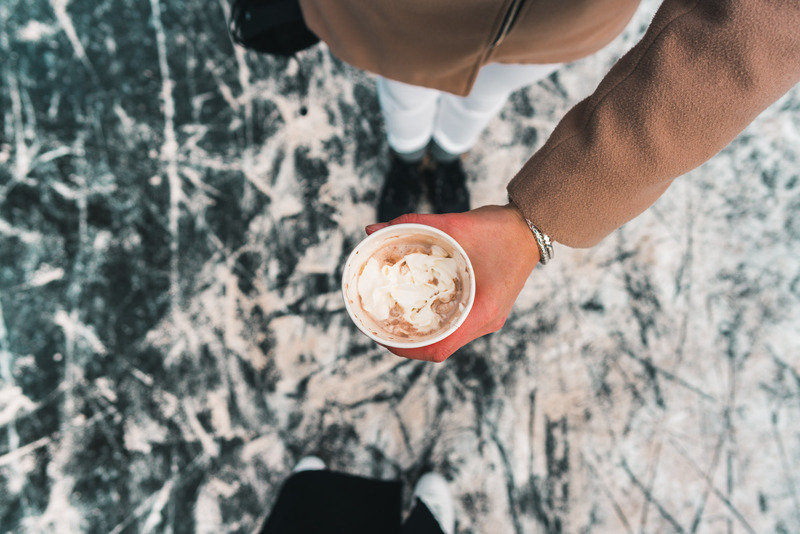 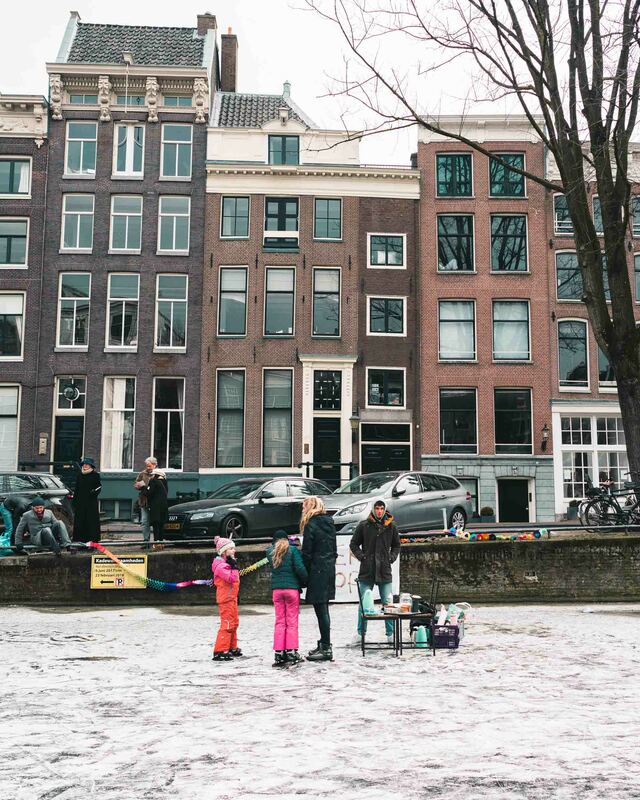 The first day people were on the ice, others had already set up stands to sell hot chocolate, cookies and snert (traditional Dutch split pea soup). 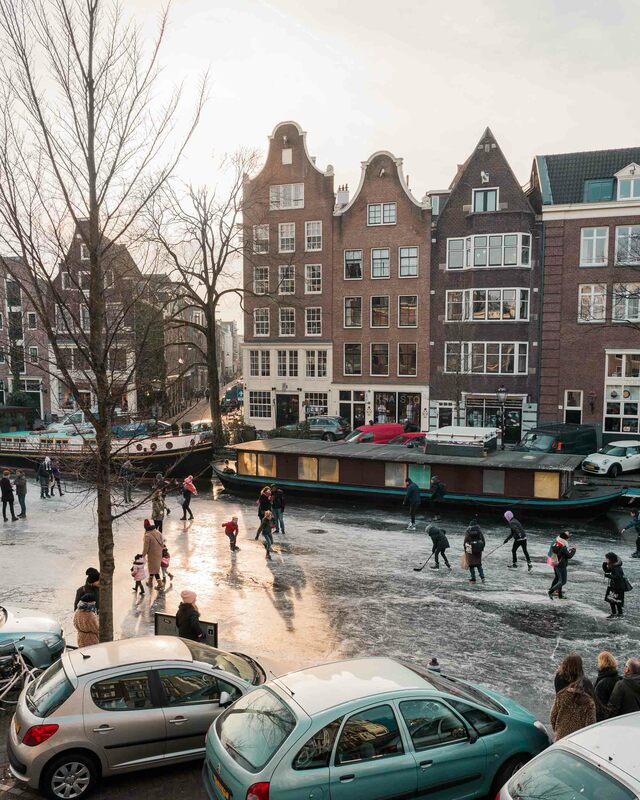 By mid-afternoon, the local kids started playing ice hockey on one of the canals. 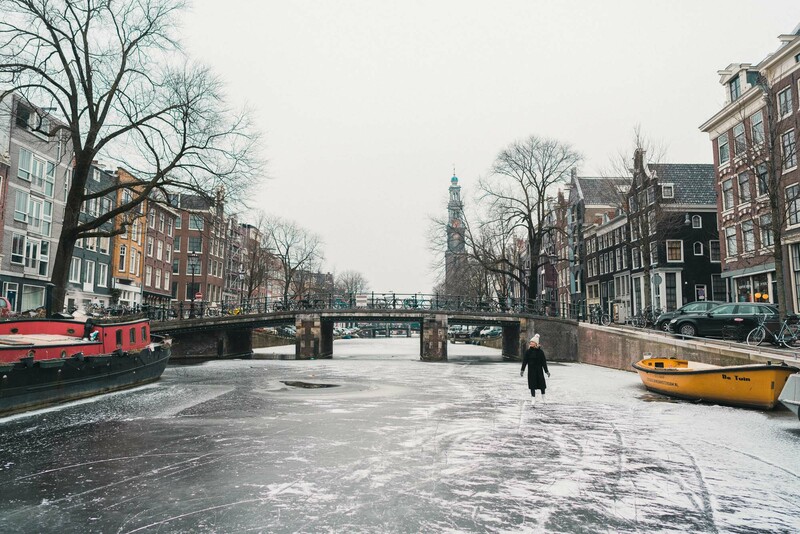 We spent Friday afternoon scouting which canals were safe to skate so we could join in on the fun Saturday. 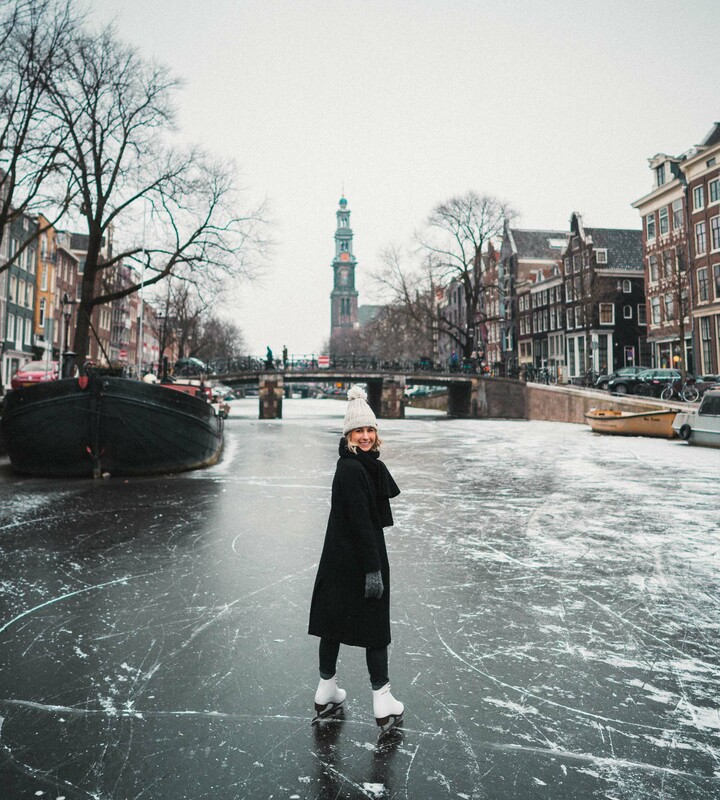 Luckily Jacob got me the perfect white ice skates for Christmas, so I was excited to put them to good use! 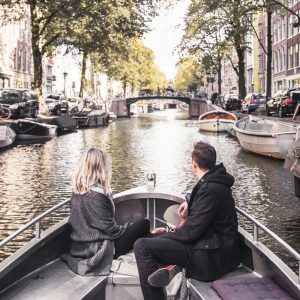 We decided to wake up early Saturday morning to experience the canals before the crowds showed up. 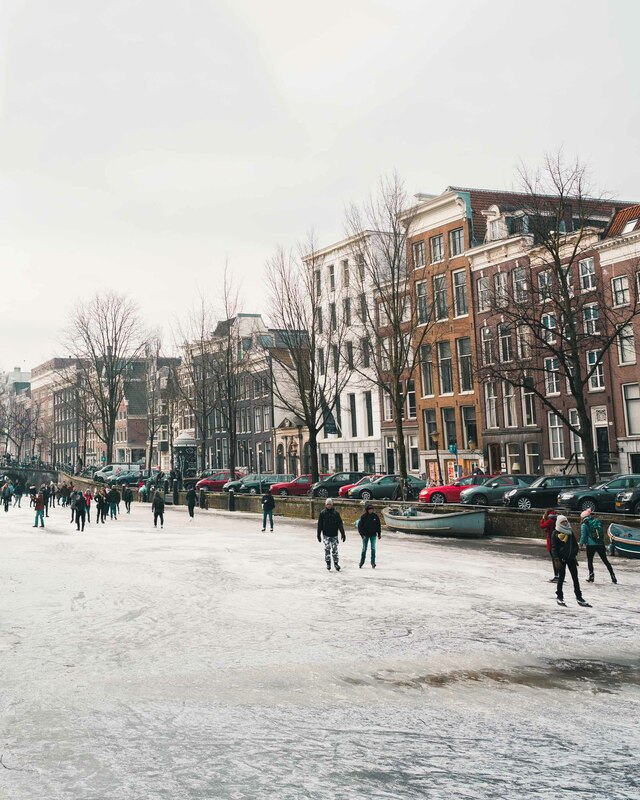 In the morning we went straight to the 9 streets area of Amsterdam where people were skating the day before. 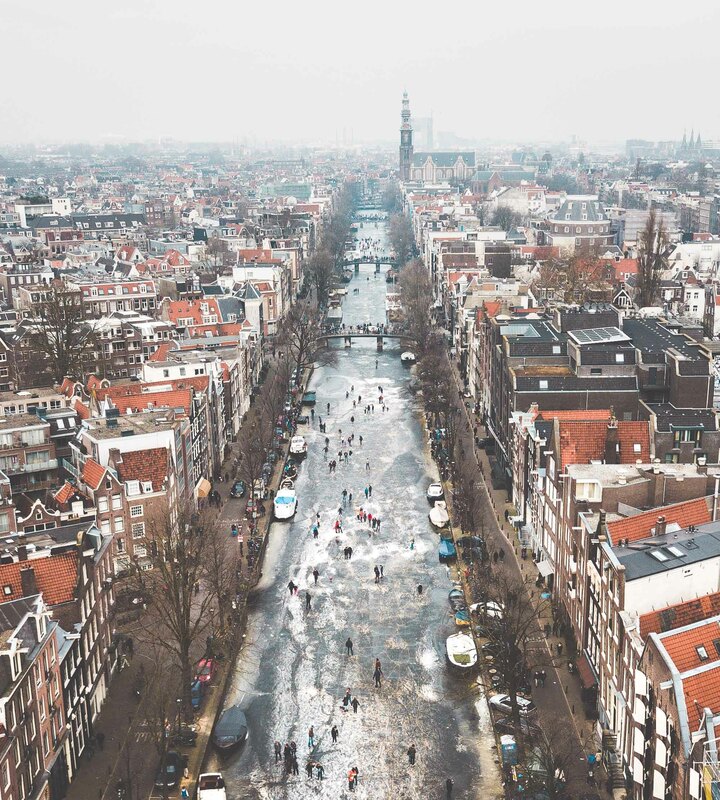 I love this part of the city. 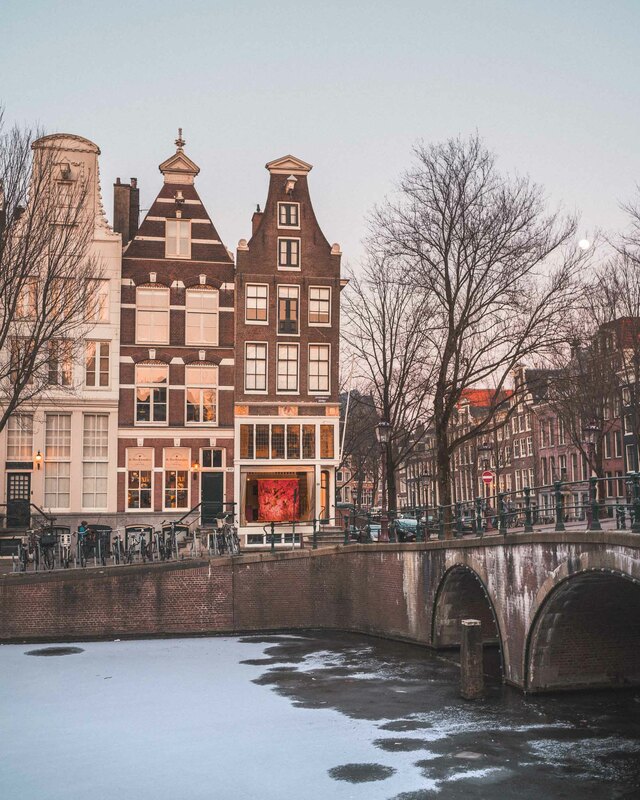 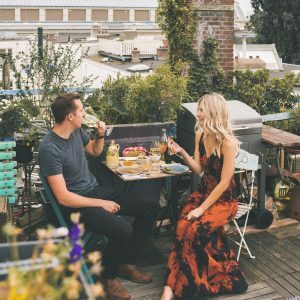 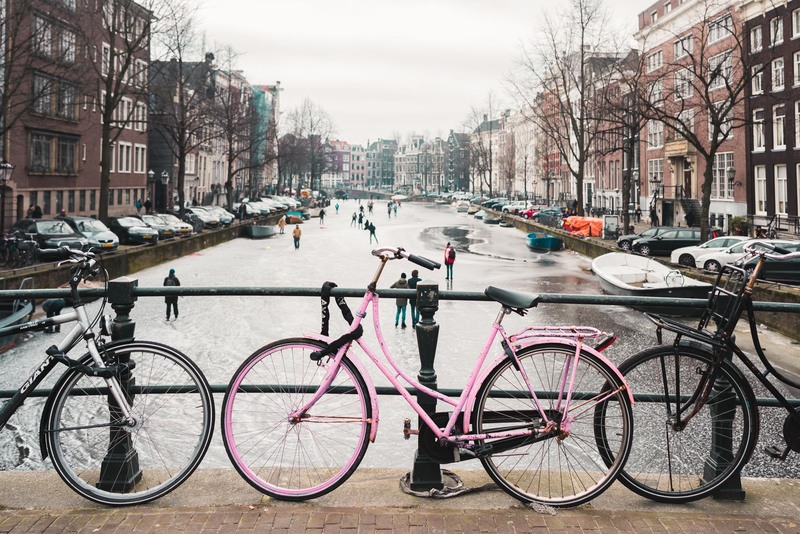 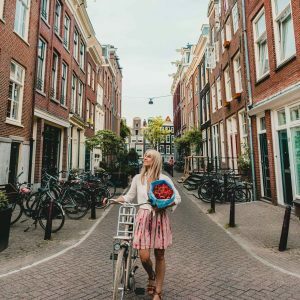 Not only does it have a beautiful view of the Westerkerk bell tower, it’s surrounded by the best restaurants and shops — including some of my absolute favorites like Pluk and De Luwte which are in my Amsterdam travel guide. 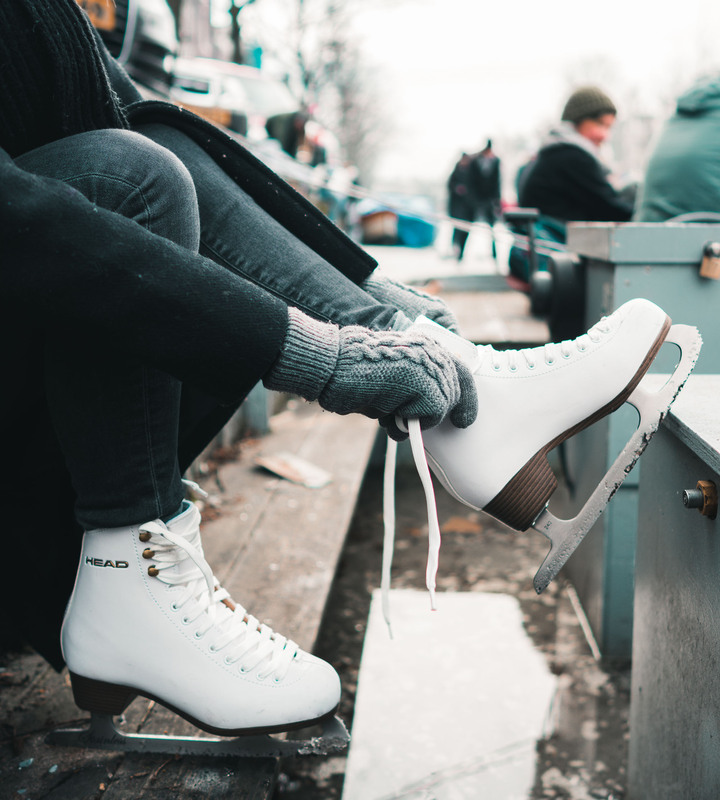 By Sunday the temperature had started to warm up so it was no longer safe to skate. 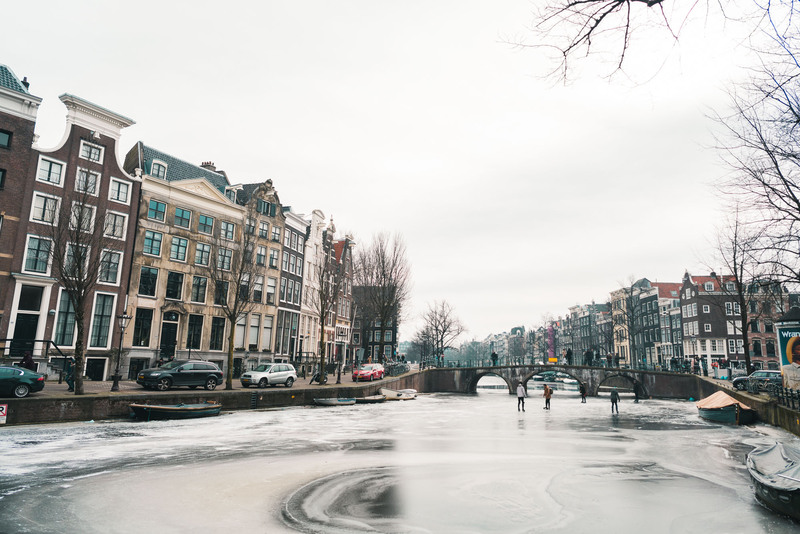 Boats started to go through the water again, and the canals were filled with melting chunks of ice. 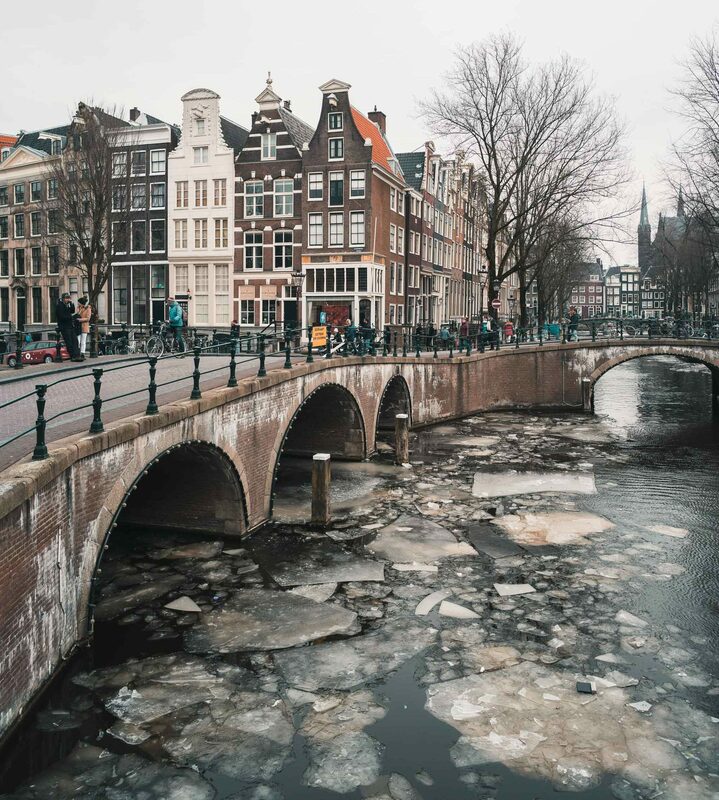 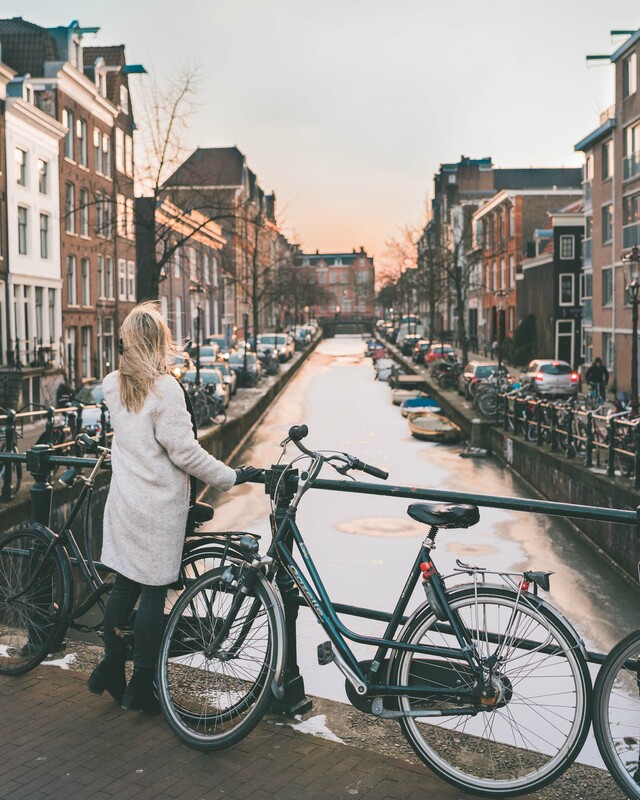 Though we had only one day to experience Amsterdam with frozen canals, it made the experience that much more special. 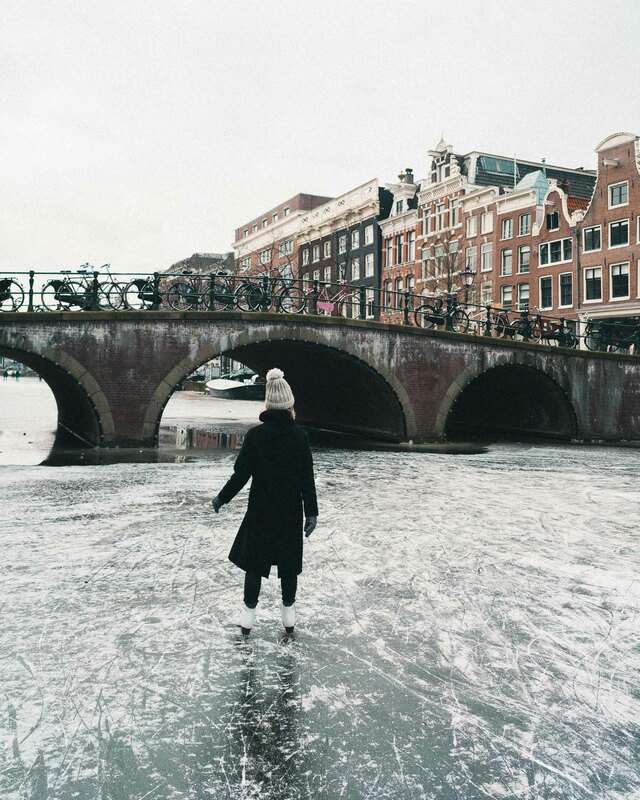 It’s crazy to think we might not see the canals freeze over again in our lifetime!